A controversial, wide ranging and clearly documented survey of the state of the global environment. The Skeptical Environmentalist challenges widely held beliefs that the environmental situation is getting worse and worse. The author, himself a former member of Greenpeace, is critical of the way in which many environmental organisations make selective and misleading use of the scientific evidence. Using the best available statistical information from internationally recognised research institutes, Bjorn Lomborg systematically examines a range of major environmental problems that feature prominently in headline news across the world. His arguments are presented in non-technical, accessible language and are carefully backed up by over 2500 footnotes allowing readers to check sources for themselves. Concluding that there are more reasons for optimism than pessimism, Bjorn Lomborg stresses the need for clear-headed prioritisation of resources to tackle real, not imagined problems. 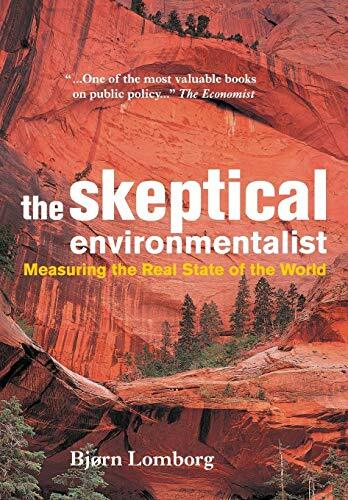 The Skeptical Environmentalist offers readers a non-partisan stocktaking exercise that serves as a useful corrective to the more alarmist accounts favoured by campaign groups and the media.